I'm still working away on pieces for the artisan show I'll be part of next weekend, but for now I wanted to show some photos of the "Drawing With Stitches" class I'm taking right now. 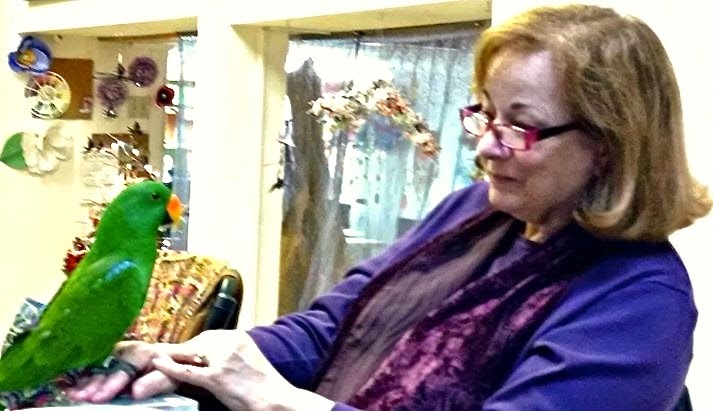 We've learned a few hand embroidery stitches and each person is working on a project of her choice. This blackwork piece is being done by our instructor, Amy Ropple, freehand, with no pattern. Beautiful! Two people, AnnMarie and Amy, are making designs using only French knots. muted colors and intricate stitches. Rosalie is embroidering an apple on black felt - this is an early photo. but I didn't get good photos of their work - hopefully I'll get more soon. 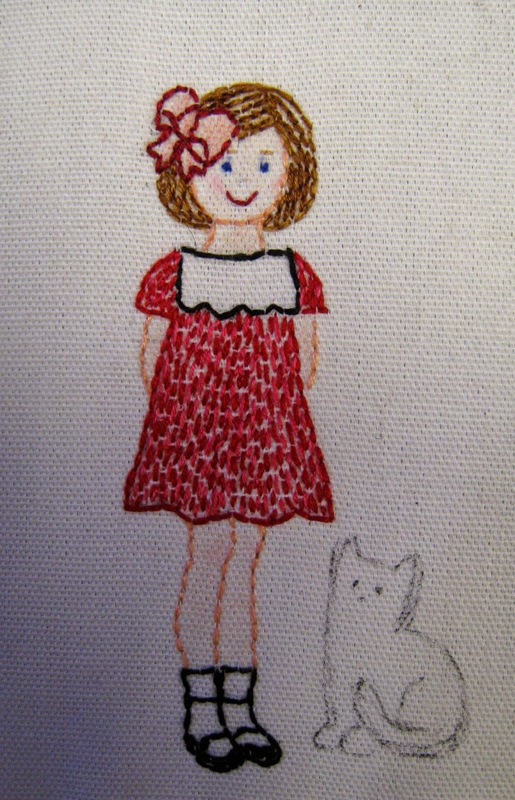 I'm working on an embroidery of a little drawing I did - of course I had to add a cat! I was lucky enough to have a visit with him! He sat on my hand for several minutes! fortunate to be part of them! 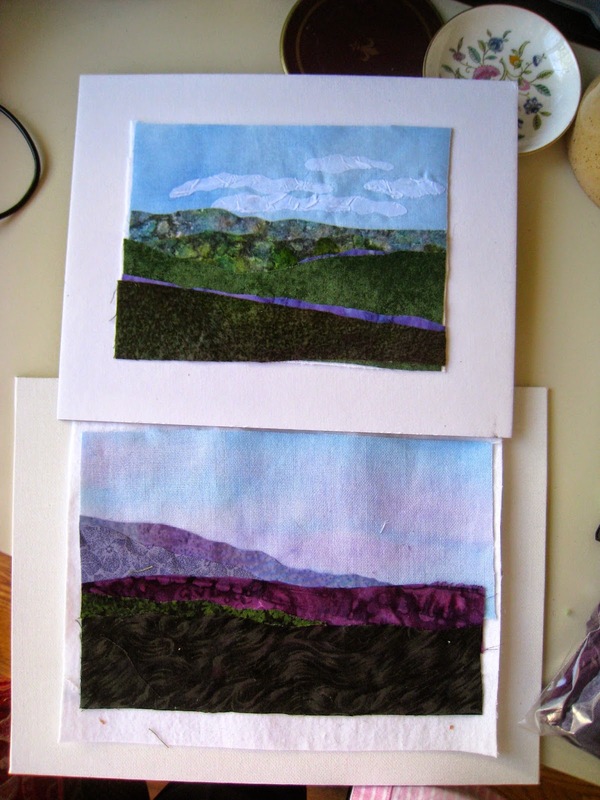 Today was a full day of designing, preparing and sewing landscapes. in the local show on November 1.
in our living room. I'm preparing white linen borders for all of them. (such as leaves) to some of the pictures. Time to quit for the day, make dinner and rest my eyes! Hope you've had a very good day! grateful for sliding doors to keep curious critters out. cats can read. They are very gifted! Yesterday I got in a groove and worked on some needle felting. placed on white wool and needle felted everything together, adding shading and details. how to present it for the show. Frame? Glass? Wall Hanging? to be very productive. Show is November 1 and I have much to do! Fortunately, I'm in "the zone" and love doing it! Just a little sketch today! and tries to recreate the same feeling in her own surroundings. for glasswear and linens and aprons and knick-nacks. with a place for everything and everything in its place. the sunshine on her sheets at night. and neighbors, and enjoys every aspect of being a homemaker. and she would make her great-grandmother proud. but she is happy being who she is.